Did you silently increase the Premium Subscription Price to $70 / year in April 2017? Your last Price increase from $45 to $60 in June 2016 was ok for me since i was a big fan of Evernote those days. But now - Fighting with an awful buggy Evernote Mac - where v6.9.2 (published 6 months ago) is the last usable version for me. No info about how you are planning to improve your Quality. And absolutely no feedback on all those reported Bugs in this forum. Are you aware of them, and when will they be fixed? Then there is your forth and back on the separation of personal and business notebooks. Now this really concerns me a lot - and i'm asking myself if i should still rely on Evernote for my 3'500+ notes? I would accept your price increase if your software quality would make a huge increase as well! 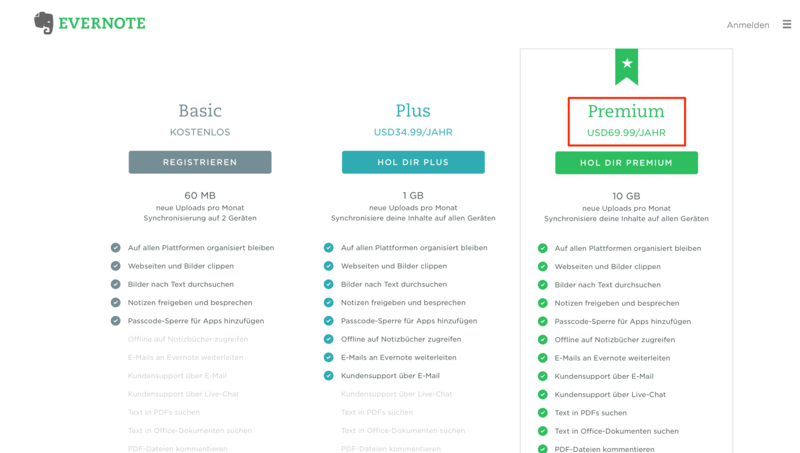 …as for the issues with version 6.9, have you tried opening a ticket with Evernote support? As a Premium customer, you would get bumped to the front of the line. If you're on Twitter, you can also reach out to them at @EvernoteHelps. I don't mean the price increase to $60 from June 2016. If you have a look at their website you will see that the premium price has been increased to $70 within the last few days. I have filed several support tickets with Evernote. Ahh — that's a good question. In the US, our price increase happened a while ago. Depending on how long you've been a Premium customer, your price increase will be held off. Ok - thanks a lot for your explanation! 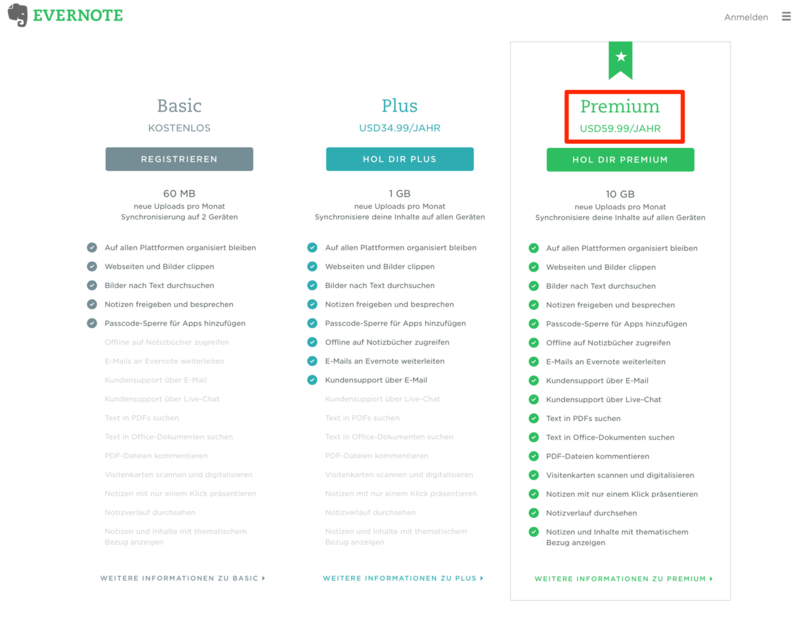 It looks like Evernote is charging me $60 for this year and $70 for the years to follow.